For many children and pupils speaking and writing in English seems challenging. In this case, a good dictionary can support their efforts. The scope of English dictionaries is really very wide, and if you have to choose a dictionary that suits your needs, you have to know how dictionaries differ from one another, as well as what are your expectations of the specific dictionary. This article focuses on the different types of dictionaries and the goals for which you can consult a dictionary. Although the dictionary is most commonly used to search for an unknown word in order to understand what it means, we often use dictionaries for other purposes. Think of the dictionary as a multifunctional tool. It is not always enough to know what a word means; in order to become part of our active vocabulary, we need to use a word, knowing how it differs from other words with similar meaning, whether it is considered too formal or too informal /colloquial/ and so on. We may know what a word means and how to use it, but we may not be sure how it is written. 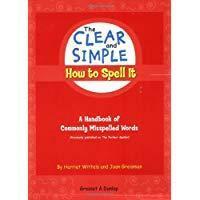 Most word-processing programs offer a built-in vocabulary that makes it easy to search for the right spelling. Sometimes, however, we need more information: for example, we may have to choose between alternative ways of writing (whiskey, organizer and so on); we may have to know how to print this word (web site or website, health care and healthcare, e-mail or electronic mail and so on); we may need to know the plural form (forums, indexes and so on); and we may want to know where to place the dash if a line cannot accept the entire word (progress or prog-ress, atmosphere or atmos-phere and so on), where words can be separated. If you think you are good at spelling, then try the challenge of Oxford dictionaries: you can choose a level (complex, difficult and diabolical) and choose between American and British English. The test consists of listening to a word and writing its spelling. Dictionaries on CDs and computers with speakers make it very easy to understand how a word is pronounced. You can even choose between British and American pronunciation. Without such a tool, we have to know the phonetic alphabet, which is specially developed to show the pronunciation. 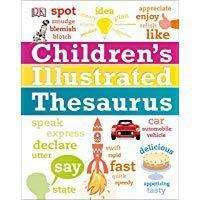 There are also illustrations of the words, and for a child up to 7-8 years of age, this type of dictionary is a great choice. Sometimes it is useful to know where does a word comes from. For example, the word perihelios comes from two Greek words, namely peri (around) and helios (Sun). Since the space is always limited in the printed dictionaries, some of them don’t contain such information. Dictionaries are for words and encyclopedias for things, so most British dictionaries exclude records for peope or places. American dictionaries, in turn, were usually encyclopedic and included records for people and places. Over time, British dictionaries have expanded their scope, and the Collins English dictionary and the Oxford English dictionary are examples of such encyclopedic dictionaries. 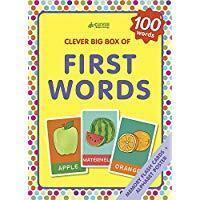 Scrabble and crossword lovers are one of the top users of dictionaries, and there are also specialized dictionaries that can help them, such as the Official Scrabble Words and Official dictionary of the Scrabble Players. Training dictionaries explain rather words with simple meaning in English, as they focus on the differences between words that are similar in meaning. They are very useful in writing in English, because they give detailed grammatical information on how the word is used. My favorite dictionary for students is the Longman dictionary of contemporary English. If the child reads a lot, he will probably need the regular English dictionary, because bilingual dictionaries or training dictionaries do not contain enough words. 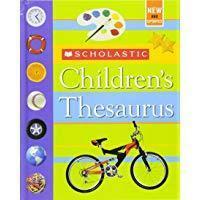 These dictionaries usually contain information about famous people, geographical locations, included in the individual applications at the end of the dictionary. 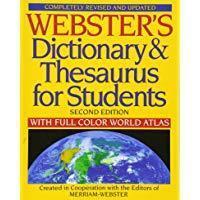 The various dictionaries published by Webster (for example, the dictionary of Webster’s new world College dictionary) are very good, because almost always the words that I want to find are present there and also because they offer etymological information (information about the origin of the word). Another good feature is that they are available with soft cover. 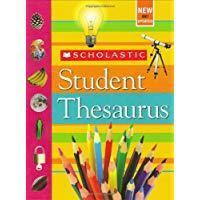 Many dictionaries are accessible through the Internet. 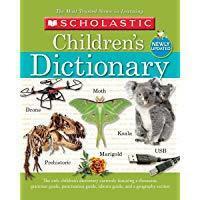 There are also many types of specialized dictionaries: dictionaries of slangs, idioms, phraseological verbs, etc. 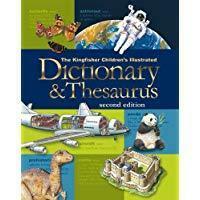 ON-LINE DICTIONARIES Last, but not least, nowadays many dictionaries are available online. An online dictionary cannot completely replace the paper or electronic option, because they require a computer and internet connection. Once it is clear which of these categories of information is necessary for the child most often, the kid is better prepared to choose a dictionary that meets his needs. Previous Post: Why should the child have to learn English from early age?